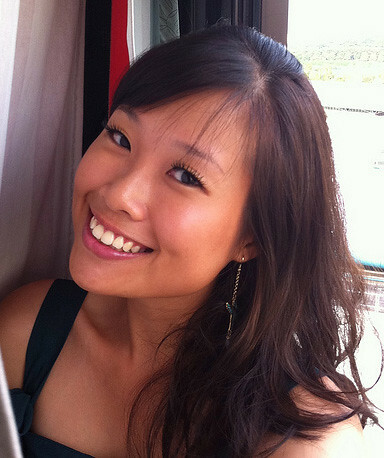 It's quite uncommon to have such workshops in Singapore. 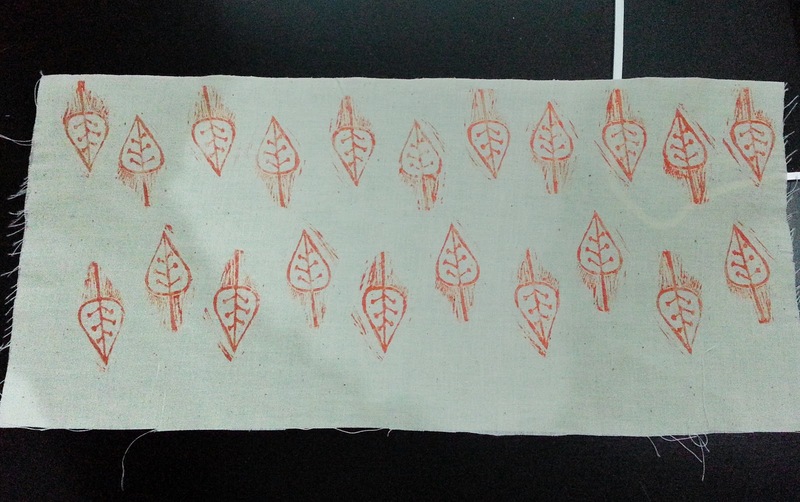 I get envious whenever I see fun workshops from overseas blogs. 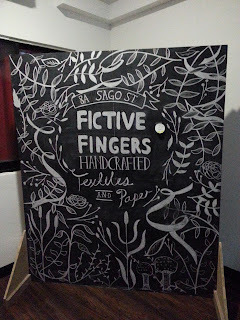 So when I found out that Fictive Fingers does workshops, I jumped at one almost immediately! It's a 2-hour workshop at their new studio in Chinatown. 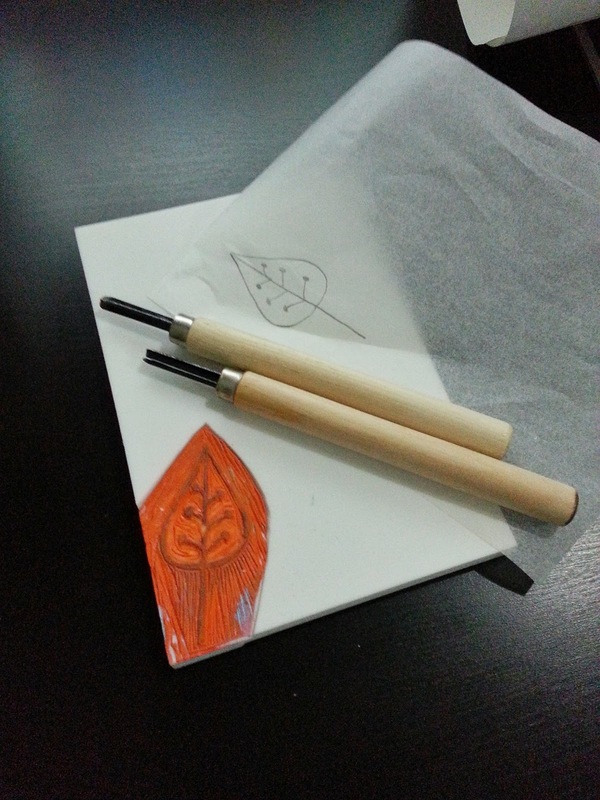 I get to bring home 2 carving tools, 1 large rubber block, my stamped A3 paper and a strip of linen fabric, and of course my completed stamp. a hugeeeeee blackboard at the staircase landing. it's beautiful! 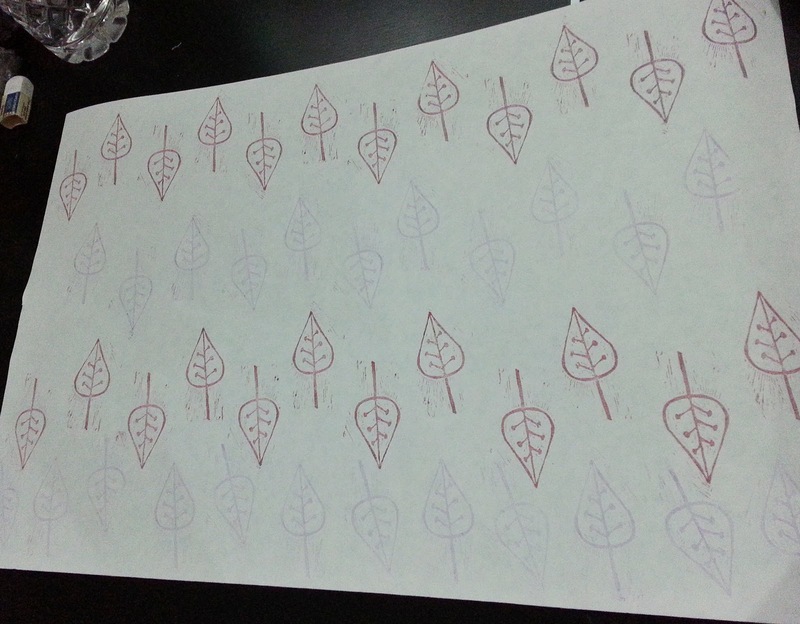 I did a sorta medium-sized stamp. I doodled the leaf just this morning, after looking at some craft blogs for inspiration. I liked the workshop! 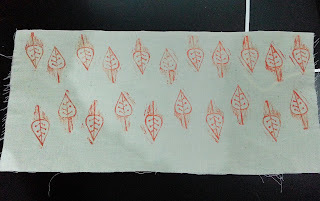 It's great to meet and chat with a fellow crafter (Hani) who takes her work seriously. 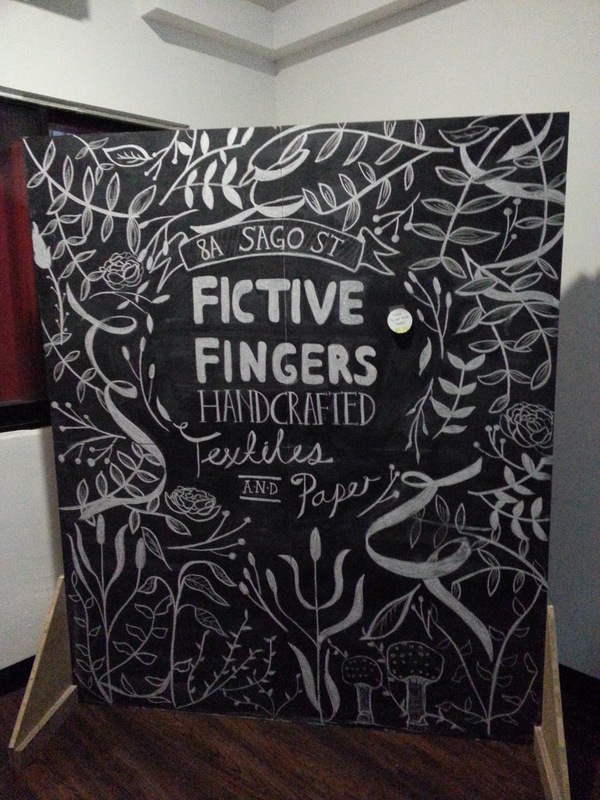 Fictive Fingers is involved in Handmade Movement Singapore, and I hope you can support them!